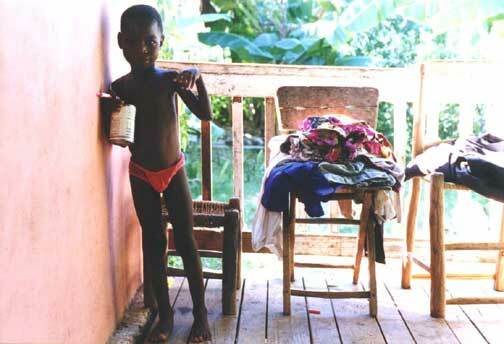 I found Johnnie, Mary Carmille's son, standing on the front porch of their hut in the village. Mary Carmille, a wonderfully helpful, loving lady, was employed by the mission as caretaker of the team house at the station. Over the years we saw the mission, nearing its 20th birthday, being managed and guided by more and more local Haitian people. Mary Carmille is being a great asset to her neighbors.